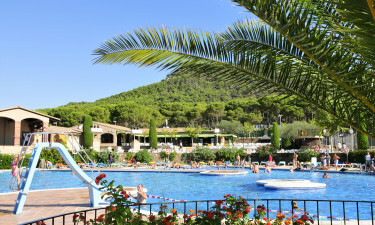 Castell Montgri is a luxury camping site located within the Costa Brava region of Spain. Due to its proximity to Rocamaura Mountain and L'Estartit Bay, any camping holiday here will be magnificent. A one-of-a-kind view of the splendid Costa Brava countryside. 20,000 square metres of fun and relaxation. The ability to hike throughout the pristine wilderness. Not only is the selection of mobile homes to be found here quite impressive, but guests are able to enjoy only the most modern amenities upon their arrival. Some of the features which are included within a standard camping holiday include wireless Internet, on-site power hookups and waste disposal services for all mobile homes. The facilities here can all be accessed by the handicapped and other services such as a washing machine and and baby changing rooms are available. 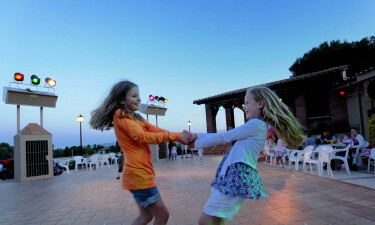 While L'Estartit Bay is only a kilometre outside of this luxury camping site, it is important to note that there are a number of other leisure pastimes for the entire family to enjoy. An open-air pool is located within this site; perfect for when the natural waters are too cold or if a family wishes to stay close to their mobile home. Children's entertainment is available for anyone who may be arriving with their little ones. Tennis, miniature golf and table tennis are likewise able to be found at Castell Montgri. Another amazing feature of this holiday camping site is that all patrons have a host of options to choose from in terms of restaurants and bars. One of the top spots is known as Zona Ombra Restaurant. This venue serves up international cuisine for those who desire a taste of home. 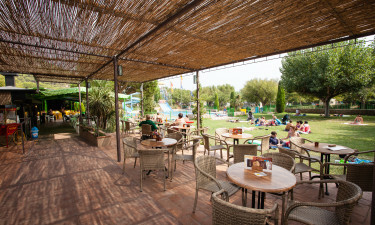 La Bassa snack bar is perfect for a quick ice cream or a plate of "tapas" before heading out to the pool. The Panorama Bar specialises in delectable cocktails as well as pints of lager from around the world. There is also an on-site supermarket that offers a variety of fruits and vegetables alongside wines and bread. A kiosk supplies visitors with daily international newspapers as well as a selection of souvenirs for those who wish to remember their stay. A currency exchange centre is also found within Castell Montrgi. Anyone who has been looking to experience true camping luxury should not hesitate to contact LUX-camp for further details.